La A6500 aggiunge alle caratteristiche della A6300 la stabilizzazione sul sensore a “5 assi” e lo schermo sensibile al tocco. Rimane il sensore Exmor CMOS APS (23,5×15,6 mm) da 24 Mpx, l’elaboratore d’immagine Bionz X a cui si aggiunge un front end LSI per migliorare la lettura delle immagini e diminuire il rumore. Anche l’autofocus ibrido, a rilevamento di fase e di contrasto, con 425 punti AF sul sensore è lo stesso. Lo schermo consente ora però di mettere a fuoco semplicemete con un tocco sul punto desiderato. La velocità di raffica è di 11 fg/s e la ripresa video 4K. L’aggiunta della stabilizzazione sul sensore a “5 assi” allinea la A6500 alla serie A7 che è stata dotata di questa funzione già lo scorso anno. Lo schermo touch può essere utile, ma non modifica di molto l’usabilità della fotocamera se non per la revisione delle foto che può essere più comoda. La A6500 sarà disponibile a dicembre al prezzo di 1.700 € solo corpo e di 2.800 € con lo zoom Zeiss 16-70 mm f/4,0 (equivalente ad un 24-105 mm). Riporto il comunicato stampa Sony (disponibile solo in inglese). Sony today introduced its new flagship APS-C sensor camera, the α6500 (model ILCE-6500). As the latest addition to Sony’s line-up of award winning mirrorless cameras, the new α6500 shares the same unrivaled 4D FOCUS™ system as the α6300 camera, which can lock focus on a subject in as little as 0.05 seconds, the world’s fastesti AF acquisition time. Also shared with the α6300, the new α6500 features 425 phase detection AF points that are densely positioned over nearly the entire image area – the world’s highestii number of AF points on any interchangeable lens camera.The new model can shoot images at up to 11 frames per second with continuous autofocus and exposure tracking and up to 8 frames per second in a live-view shooting mode that makes it easy to track fast moving subjects, as it combines all of the benefits of an electronic viewfinder with the immediacy of an optical viewfinder. The camera can shoot at these high speeds for up to 307 frames[i] thanks to its expanded buffer, which, along with the fast response speeds described above, are all achieved with the support of a new front-end LSI chip that has been added to the camera.This new front-end LSI also serves to enhance both still and video image quality. 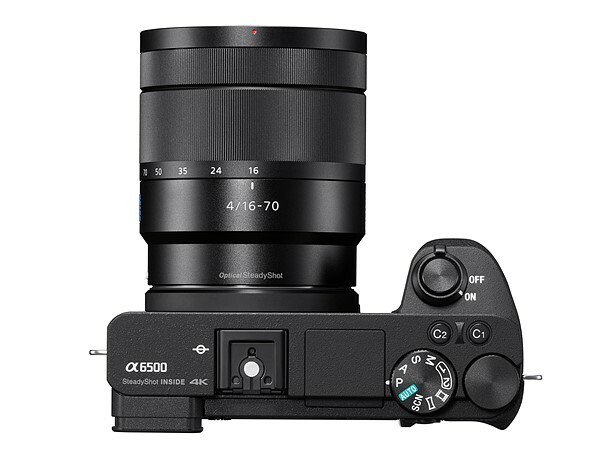 Additionally, the new α6500 features Sony’s acclaimed in-camera 5-axis optical image stabilisation, making it the first Sony APS-C sensor camera to offer all of the benefits of advanced in-body stabilisation, which include a shutter speed advantage of approximately 5 steps[ii]. It also offers touchscreen AF capabilities for focus point selection and adjustment. Sony’s new α6500 camera utilises the same 4D FOCUS system as the α6300 – a Fast Hybrid AF system that combines high-speed phase detection AF with extremely accurate contrast AF and allows it to capture and lock on to moving subjects in as little as 0.05 secondsi.It also features 425 phase detection AF points and High-density Tracking AF Technology, which significantly improves subject detection and tracking performance. 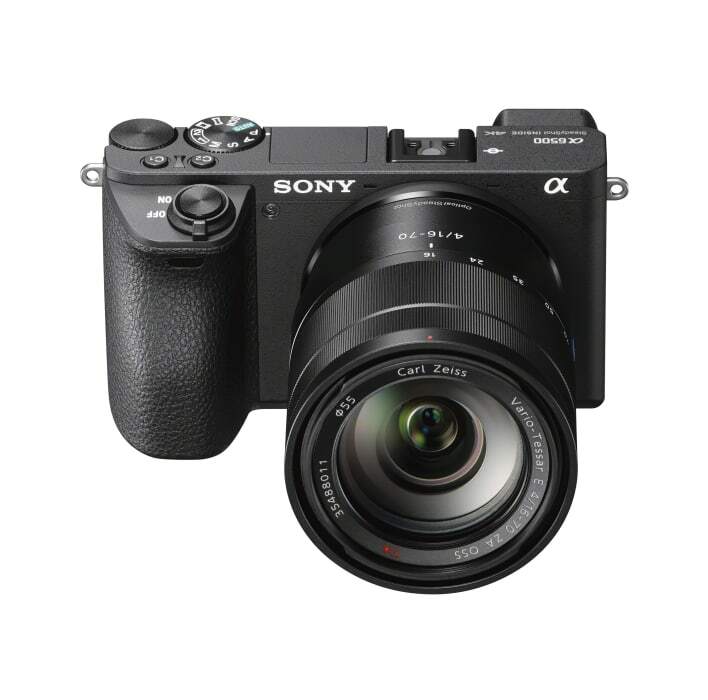 The camera’s 425 phase detection AF points, focusing tracking and accuracy are also available when using non-native A-mount lenses[iii] with Sony’s LA-EA3 mount adaptor.Additionally, it includes silent shooting, Eye AF in AF-C mode, AF in focus magnifier modes, Expand Flexible Spot AF and more. One of the most exciting developments in the new α6500 is the implementation of 5-axis image stabilisation for the first time in a Sony APS-C sensor camera.Additionally, through a total revision of the internal design of the camera, this newly developed stabilisation system fits entirely within a body that is nearly the same size as the α6300 model. [iv] This innovative 5- axis system provides a shutter speed advantage of 5 steps,iv ensuring the full resolving power of the sensor can be realised, even in challenging lighting. Also, with a simple half press of the shutter button, the effect of the image stabilisation can be monitored in the viewfinder or on the LCD screen, allowing framing and focus to be accurately checked and continually monitored.This is available even when a lens is attached that does not have built-in shake compensation. 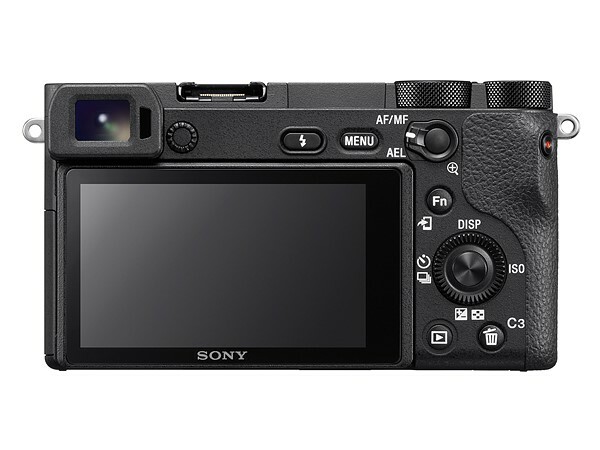 The new α6500 comes equipped with touch screen functionality, allowing users to lock focus on a subject simply by touching it on the screen.This is a powerful compliment to its advanced AF system and video shooting capabilities. Additionally, in a first for Sony cameras, the α6500 features touchpad functionality.When utilising the viewfinder for framing and shooting, the LCD screen can be used as a touch pad.Simply drag a finger across the screen to shift the focus point from one area to another. The image sensor employs a thin wiring layer and large photodiode substrate that maximises light collection efficiency, plus copper wiring in its structure for outstanding read-out speed. The BIONZ X image processor and newly developed front-end LSI ensure superior image and video quality with low noise even when using higher ISO settings, in particular those at high sensitivity values where other cameras typically struggle.The LSI is also responsible for the expanded buffer depth for continuous shooting. 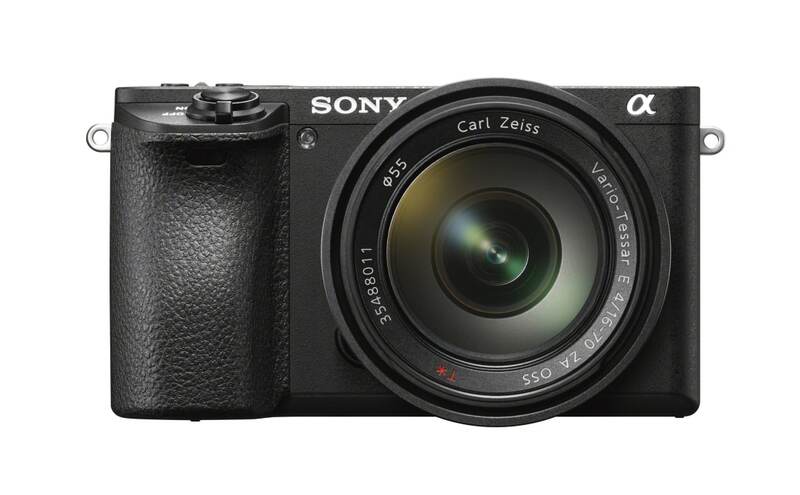 The new α6500 becomes the latest Sony interchangeable lens camera to offer internal 4K movie recording, as it can shoot 4K (3840x2160p) video in the popular Super 35mm format on the full width of the image sensor.When shooting in this format, the camera uses full pixel readout without pixel binning to collect 6K of information – approximately 2.4x[viii] (20 MP equivalent) as many pixels as 4K UHD and then oversamples the information to produce high quality 4K footage with exceptional detail and depth. Additionally, the α6500 will focus exceptionally fast during movie shooting thanks to its Fast Hybrid AF system, offers touch focusing for professionally smooth focus shifts, whilst also offering adjustable AF transition speed and AF tracking sensitivity. The camera supports the XAVC S codec[ix] during video shooting, which records at a high bit rate of up to 100 Mbps during 4K recording and 50 Mbps during Full HD shooting, ensuring maximum detail and clarity in both video formats. New on the α6500 is the incorporation of a ‘Slow and Quick’ (S&Q) mode that supports both slow motion and quick motion. In this mode, frame rates from 1 fps to 100fps can be selected in 8 steps for up to 50x quick motion and 4x slow motion recording[x]. Footage shot in this mode can be previewed after shooting without the need for PC-based post processing. The camera also offers S-Log gamma recording[xi] for wide dynamic range shooting – approximately 14-stop latitude in S-Log3 gamma setting – and supports S-Gamut for a wider colour space.Both options allow for greater creativity for processing video post-production. Shooters also now have the ability to select, extract and save still images from movie footage directly on the camera.Approximately 8 MP images and 2 MP images can be pulled from 4K modes and Full HD modes, respectively. 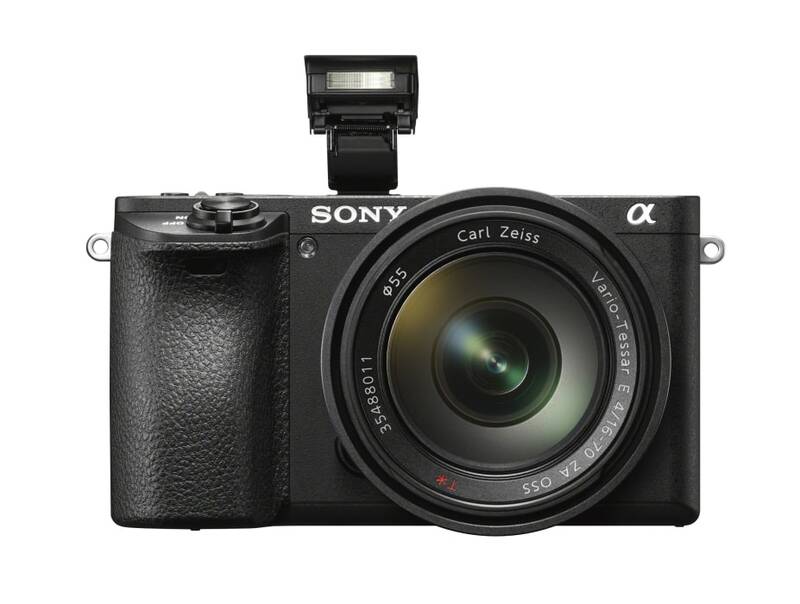 The new α6500 has a refined design, maintaining the mobility of the α6000 series while adapting much of the usability of Sony’s acclaimed α7 II series.The new model features the same high contrast, high-resolution 2.4 million dot XGA OLED Tru-Finder as the α6300 that offers exceptional corner-to-corner visibility. New hardware features on the α6500 include a magnesium alloy body and a high-durability shutter with a tested life span of approximately 200,000 release cycles. 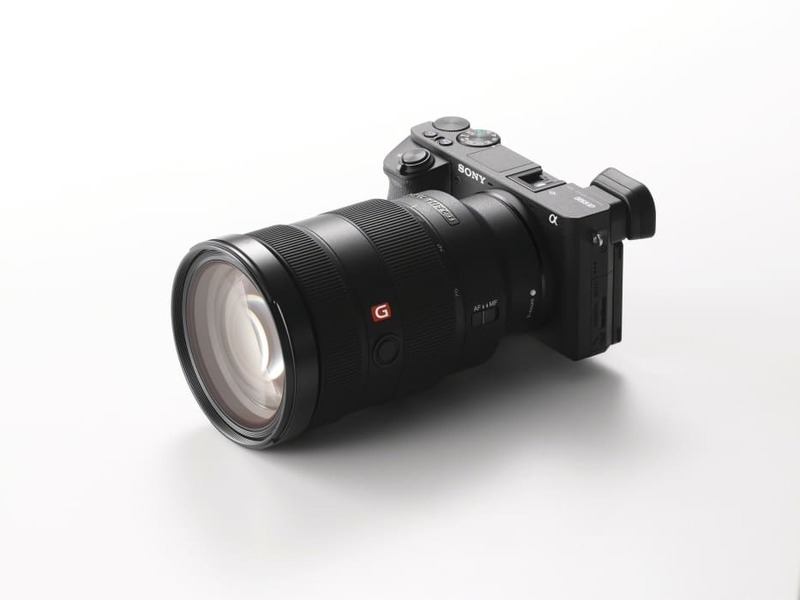 [xii] It also has several design features that are borrowed from the α7 II series of full-frame cameras, which include a robust lens mount, a recessed grip to improve handling, a larger release button and ten total custom buttons including ‘C1’, ‘C2’ and ‘C3’.It also has an improved operation feel for its mode and control dials and rear face buttons, as well as a softer eyepiece cup for more comfortable usage. The camera is Wi-Fi®, QR and NFC compatible and fully compatible with Sony’s PlayMemories Mobile™ applications[xiii] available for Android™ and iOS platforms, as well as Sony’s growing range of PlayMemories Camera Apps™.The α6500 also offers location data acquisition via a Bluetooth[xiv] connection to a compatible mobile device and an updated menu structure to deliver a smoother navigational experience. [i]With “Hi” continuous shooting mode and “Fine” image quality. [ii]Based on CIPA standard. Pitch/yaw shake only. With Sonnar T* FE 55mm F1.8 ZA lens mounted. Long exposure NR off. [iii]A-mount lenses with SSM or SAM only. Users can choose phase-detection AF or contrast-detection AF in AF System menu. “Phase-detection AF” is not available during movie shooting. AF-C in AF System menu is available only with “Contrast-detection AF” selected, but no motion tracking is performed during continuous shooting (Hi+, Hi, Mid). [vii]Standard ISO range: 100-25600 for stills and movies. Expandable up to ISO 51200 for stills only. [ix]SDHC/SDXC memory card of Class 10 or higher is required for movie recording in XAVC S format.UHS-I (U3) SDHC/SDXC card is required for 100Mbps recording. [x]Sound cannot be recorded. SDHC/SDXC memory card of Class 10 or higher is required. [xii]With the electronic front curtain shutter, under internal test conditions of Sony. Ritengo che dopo Nex 6 ed A6000 Sony avrebbe ben potuto realizzare pochi mesi fa una A6300 con le aggiunte della A6500: viene reso incompleto avere grande velocità di raffica che consentirebbe un miglior utilizzo nell’attività sportiva e di soggetti in rapido movimento se non accompagnato da un buffer capiente e che si svuoti alla svelta, lo schermo touch lo avevano già dalla Nex 5R…. così come la stabilizzazione a 5 assi è già più di 2 anni che è su macchine concorrenti. 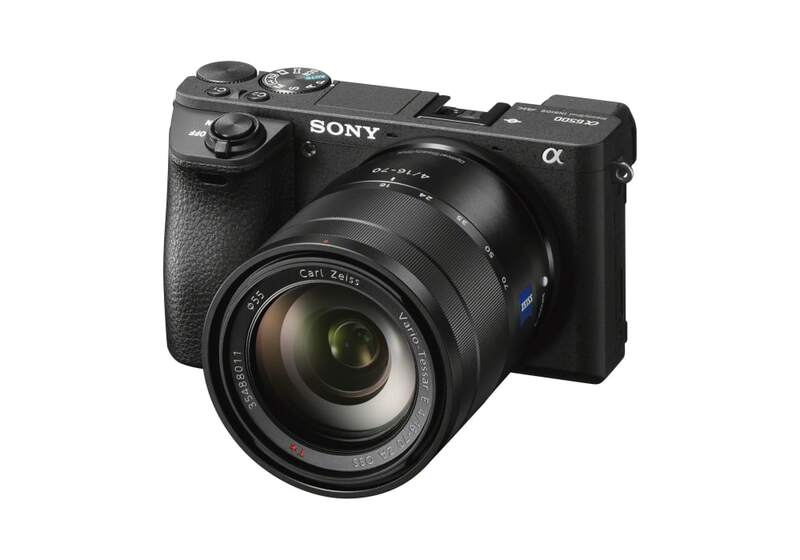 Chi ha comprato la A6300 realizza meglio oggi il prodotto incompleto che Sony gli ha “offerto” giusto pochi mesi fa (mi sembra fosse Febbraio di quest’anno). A me Sony con questa politica di super obsolescenza programmata stà antipatica, ok che lo fanno tutti ma non in maniera così esagerata.